father. Here is where you buried your brother. toward the earth. Home is where the shovels lie. Earth and earth and earth. Stones crowd your sleep. underfoot. You dream yourself toward them. mouth like whiskey. Your eyes like whiskey. You baptize yourself in sorrow, again and again. You baptize yourself with bourbon and brandy. they bathed your small body with their fears. Each scar they’d earned became manifest on your skin. you, it will be no new baptism. Just that same, ancient sacrifice. Just that rush, that rushing, and then you are gone. 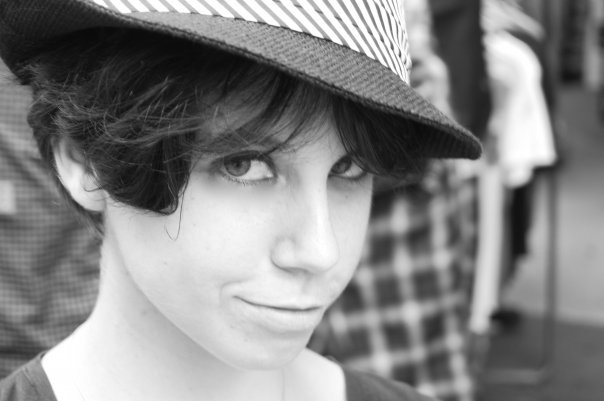 Jen Silverman is a playwright and poet based out of New York. Her play CRANE STORY was produced off-Broadway at the Cherry Lane Theatre (2011), AKARUI received its World Premiere at Cleveland Public Theatre, and her short play THE EDUCATION OF MACOLOCO won the Off-Off-Broadway Short Play Festival and was published by Samuel French. She has held residencies at Hedgebrook, the Millay Colony, MacDowell (two-time Fellow), with an upcoming residency at Djerassi. She was a US Delegate for a China/America Writers Exchange in Beijing (2011) and the winner of the Ploughshares Emerging Poet Award (2012). Her creative non-fiction piece “Six Bright Horses” won the Orlando Prize and was published in the LA Review (2011). BA: Brown. MFA: Iowa Playwrights Workshop. Want to read more by and about Jen Silverman? This entry was posted in Jen Silverman and tagged American Poetry, Poetry, Poetry of Loss by asitoughttobemagazine. Bookmark the permalink.